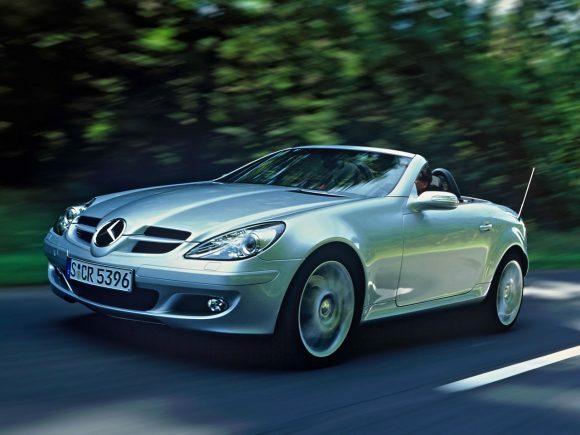 The original Mercedes-Benz SLK was a car ahead of its time. The first modern car with a folding steel roof all wrapped up in a stylish little roadster. 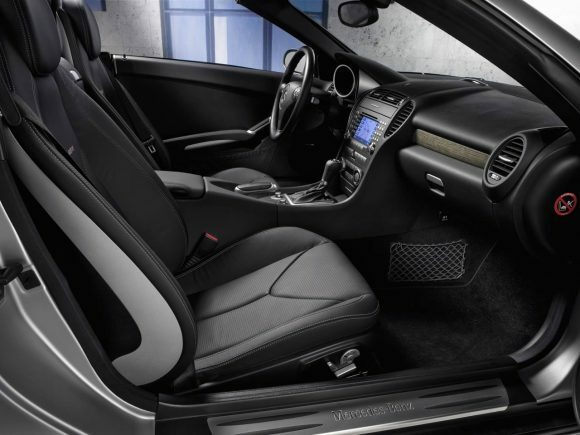 The second generation SLK not only has a new selection of powerplants but is also the driver’s car that the previous version always promised to be. It is altogether more refined and better equipped, competing well with the other cars in its class. 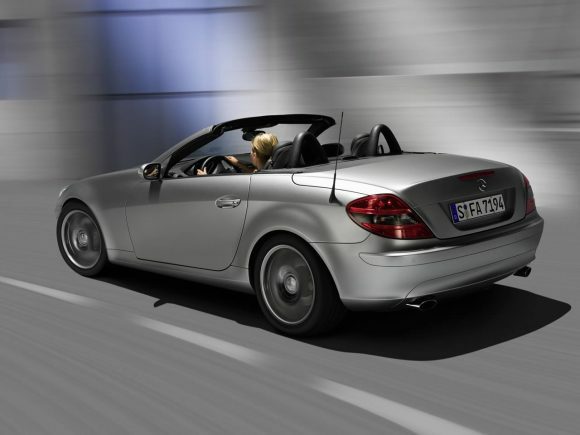 It was very hard to think of a good reason not to choose the Mercedes SLK …until the new BMW Z4 came along. 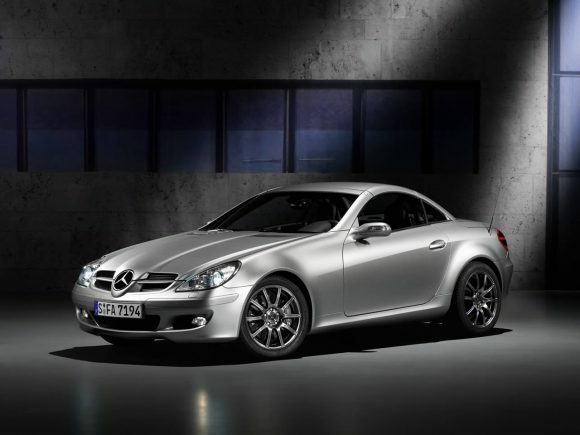 The Mercedes SLK 200 has a 1.8 litre supercharged engine which gives a good turn of speed and respectable fuel economy. 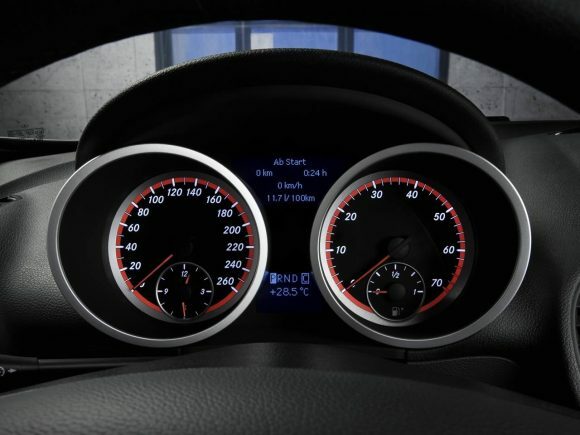 With the manual gearbox it is the best fun to drive in the SLK range and the most like a proper sports car. At the end of 2010 the 280 was renamed the 300 but remained otherwise unchanged. The 280 had the same 3 litre engine as the 300. Do you drive a Mercedes-Benz SLK? Would you recommend it to others? Join the conversation and let us know what you think of the car. This Mercedes-Benz currently has 9 owner reviews. I love driving my SLK, but had just as much fun driving my Tigra retractable. It just bugs me how much petrol I use driving the SLK. I could be buying another pair of shoes a week! That’s ridiculous. How on earth can you compare a Vauxhall Tigra with any Mercedes. You’re not driving just an SLK, but a Mercedes with all the engineering and quality that just doesn’t compare with a Vauxhall. I presently own an elderly ML320 and an SLK 200 Kompressor. I wouldn’t swap either for any Vauxhall currently on the market. Just goes to show that some people buy Mercedes because they appreciate exquisite design, industry-leading engineering and meticulus build quality, and others just like the color. The Drive is beautiful, I love the agile cornering and quick acceleration, The Roof opening and closing is really quick, parking it is quite good. It is one the best roadsters on the market. The slk 200 m171 mark 2 is a fun car to live with. Comfortable, elegant, economical and reasonably fast. Id only change mine for the new model. Highly recommended. I just became a proud owner of a Mark II 2006 SLK 200 after 7 very happy years with a classic 1998 SLK 230 which was so much fun even in the snow with winter tyres. I always wanted one ever since Mercedes Benz bought the first one out. It’s an absolute classic, well designed and with great engineering and reliability behind it and loads of boot space. I hope the mark II will give me as much pleasure although it is a shame they didn’t make the newer models in the same funky colour range as the old ones. I loved my Vivianite green SLK 230. I have just taken delivery of 09 slk in black used to have mx5 2.0 coupe, slightly better drive in mx but not the same “presence”. Cant wait for decent weather to get top down.